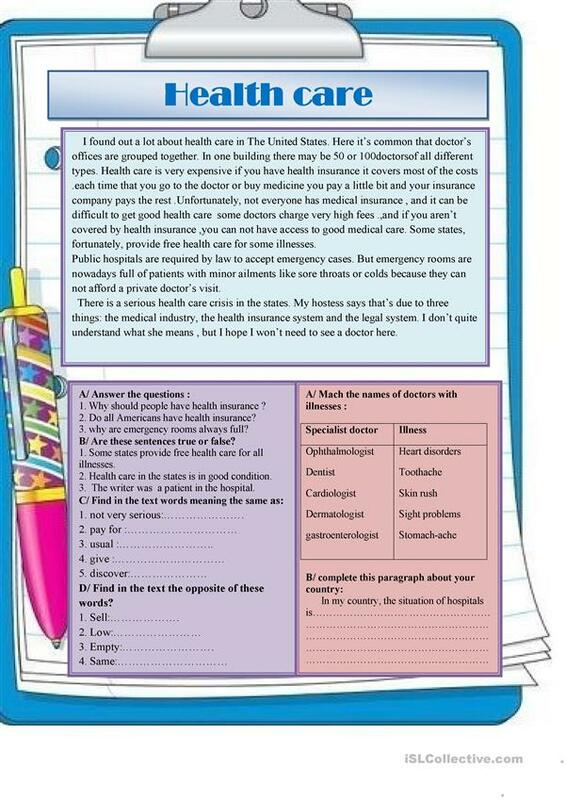 Reading comprehension worksheet comprising a text and comprehension questions plus Grammar tasks for elementary students.It also includes a writing task .the text is taken from a Moroccan textbook.I hope it will help. The above printable, downloadable handout is a great resource for high school students at Elementary (A1) and Pre-intermediate (A2) level. It is useful for honing your class' Reading skills. ajjour is from/lives in Morocco and has been a member of iSLCollective since 2015-04-17 00:30:58. ajjour last logged in on 2019-04-15 20:15:50, and has shared 17 resources on iSLCollective so far.